What is the knee support AS-P/RZ? Jumper knee strap AS-P/RZ was created under the rule called MiniMax (minimum device, maximum effect). It’s anatomic-shaped brace with silicone insert in universal size. The brace stabilizes and off-loads the patella tendon, providing compression. It allows to reduce pain and patellofemoral pain syndrome (PFPS). Silicone insert in AS-P/RZ kneecap brace provides dampening therapeutic vibration with your every step and keep the strap in place. Our AS-P/RZ strap supports the kneecap and patellar tendon, what limits the stress of the quadriceps on the shin bone and reduces pain. It allows to prevent against the chondromalacia patellae (CMP). Our jumper knee strap is made of skin-friendly material. It’s universal size and fits for both legs. AS-KX-05 knee brace is made of innovative, compression and skin-friendly fabric called CottonPren. This fabric is made of comfort neoprene foam with polyester lining and internal elastic terry. 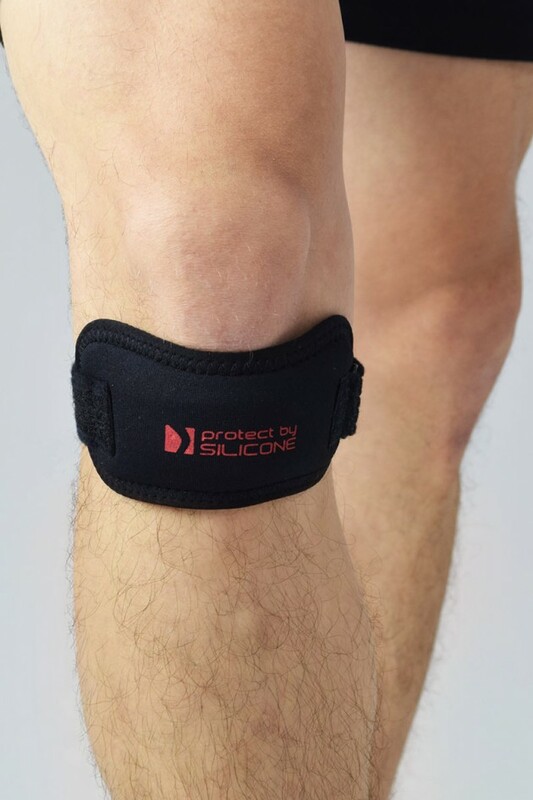 Knee support AS-SK belongs to the PROTECT BY SILICONE group. It is active brace to knee support and stabilize, in case of its instability, swelling or pain. The brace stabilizes joint, relieves pain and increases mobility. It is made of innovative fabric PowerFit. Knee brace AS-SK-02 is made of innovative, compression and skin-friendly fabric called CottonPren. This fabric is made of comfort neoprene foam with polyester lining and internal elastic terry.